Unlike almost every other musical genre, one of metal’s biggest strengths has always lied in its distinct ability to conjure up creative, atmospheric realms that invite the listener into a specific world constructed by the artist. Doom metal, even more so than other metal subgenres, relishes this opportunity to create an oppressive, heavy atmosphere that filters the familiar instruments of rock music through the prism of distorted vocals, lyrics, and supporting instruments that open a portal into fictitious sonic worlds. 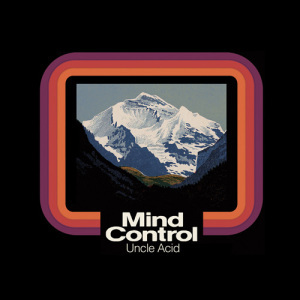 And it is within this specific aspect, that Uncle Acid & the deadbeats separate themselves from their doom peers with an incredibly innovative and distinct approach to the genre as heard on their album Mind Control. Taking their cues from a mix of Black Sabbath and a nightmare-version of the Beatles, Uncle Acid meld their riffs into atmospheric productions that are reminiscent of the former bands, but also add a very familiar sense of melody. Melodies that if isolated may sound like some undiscovered gem from the Beatles, yet when strained through the creative machinations of Uncle Acid—produce a haunting and unique tone that so eerily reminds the viewer of some digestible pop-rock song, yet also calls to mind an unearthly quality only recognizable in doom. 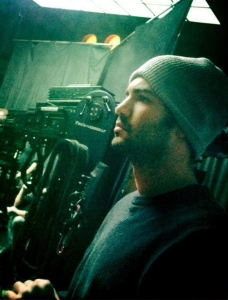 Mind Control’s basic album concept revolves around a Charlie Manson-like figure that descends from the mountain with song titles and lyrics that evoke the major motifs of the period, such as: “Valley of the Dolls”, “Follow the Leader”, “Desert Ceremony”, “Death Valley Blues”, and “Devil’s Work”. The album oscillates between heavy, thumping riffs like in “Devil’s Work” and the slower, sixties-infused feelings of a song like “Follow the Leader”. Although a song like “Devil’s work” utilizes a heavy riff that will satisfy metal heads looking for a more propulsive charge, songs like “Follow the Leader” offer a more interesting contribution the genre. “Follow the Leader” and “Death Valley Blues” both sound like the Beatles’ “Norwegian Wood” strained through an acid trip led by Charles Manson to his Followers in their final days on Spahn Ranch, but without ever calling unnecessary attention to any of such recognizable elements. Instead, eerie tunes somehow both nostalgic and otherworldly wash over the listener’s ears to create a very creative and transportative effect to both the sound and world constructed within this concept album—as only found in the best of doom. This entry was posted in Uncategorized and tagged doom, metal, music criticism on October 31, 2014 by Nick Yarborough.